We were so lucky and blessed to have met Susan. We started our house search by going to open houses. It was our first open house that we met Susan. As soon as we entered the house she made us feel so welcome. Talked to us like we were old friends. Asked us what kind of house we were looking for and from then on she worked above and beyond to help us find our home. Worked endlessly and was very professional. She was very patient and so understanding of any of our decisions. She truly works on behalf of her clients to make sure they get what they want and aren't paying over the value of the house. I could go on and on but we can't say enough of what an amazing job she does and what a great person she is. She truly knows her job and will go above and beyond. Thank you so much Susan. You have become a dear friend indeed. Susan has been an absolute exceptional Realtor to work with. We met her at an open house she was hosting, even though she had many people flowing through the house she still spent the time there answering all 100 of our questions about purchasing. When the time came to purchase a new home we knew she was the one to call. We had some pretty specific perimeters we needed in a new home and Susan spent the time souring the market day and night for suitable properties for us. We never felt any pressure to buy or make a decision quickly, we felt comfortable taking our time if we were unsure. Also, as very detail oriented people we really appreciated the thorough responses she gave us. We also appreciated that Susan always weighed in when we asked for advice; it really gave us comfort knowing that she was seriously on our side and not just trying to “make a sale”. If you have plans to purchase or sell a home, we cannot recommend Susan enough - She will exceed your expectations! 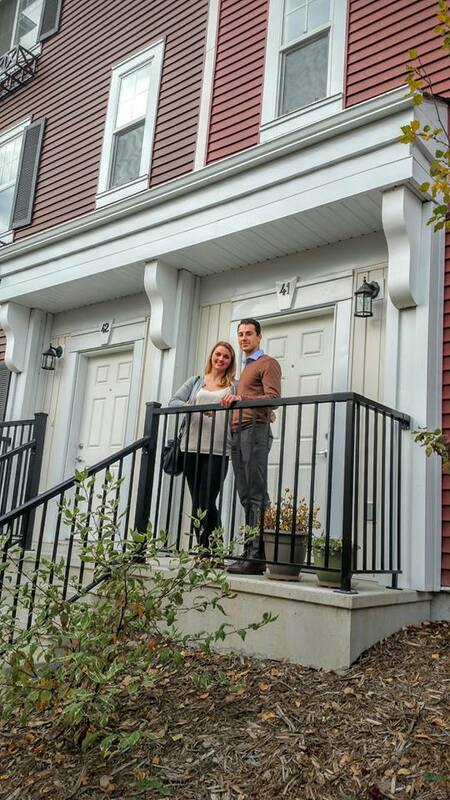 My husband and I were referred to Susan from our mortgage broker to purchase our first home. I am so happy that we had the opportunity to meet and use Susan for such a big event in our lives! She knew exactly what we were looking for, and if we weren’t happy or loving something, she didn’t try to push it and moved on. She provided us with so much information about all the little things we had no idea about. She was patient and totally genuine. We felt that she was really there for us and our best interest. Our buying experience was fun and stress free. She went above and beyond our expectations and I would recommend her to anyone looking to buy or sell their homes. "Susan is the epitome of professionalism and customer service. She was quick to gain a clear understanding of the type of property I wanted and she was relentless is researching what was available and arrangement of viewings. What I really appreciated was that she didn't waste my time and she was always optimistic. If you are looking for a realtor who understands the industry and who truly wants to partner with you as you search for your new home, Susan is that realtor."